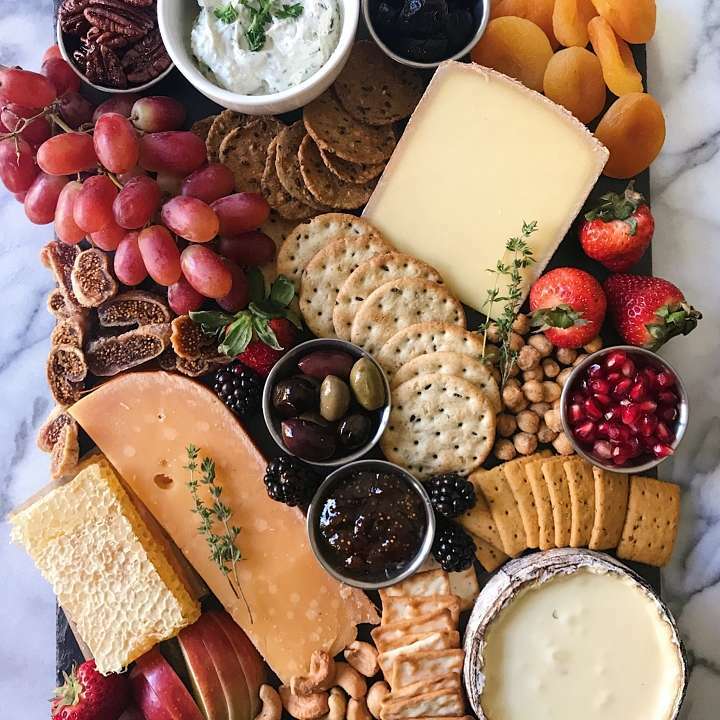 Every celebration deserves a cheese board and in our house that means one that’s Gluten-free with Vegan options too. And it’s always a hit because it has it all going on… this one has one soft cheese, two hard cheese (Challerhocker and a gouda), Kitehill vegan chive cream cheese spread, several types of olives, dried figs, dried apricots, fig jam, honey comb, fresh grapes, apple slices, strawberries, pomegranates, candied pecans, cashews, crispy wasabi chickpeas, and 4 gluten-free crackers– Absolutely Gluten-Free original, Breton Gluten-free Original with Flax and two types of Mary’s Gone Crackers. Choose your cheeses so that there are different textures and/or different cheese sources (i.e. 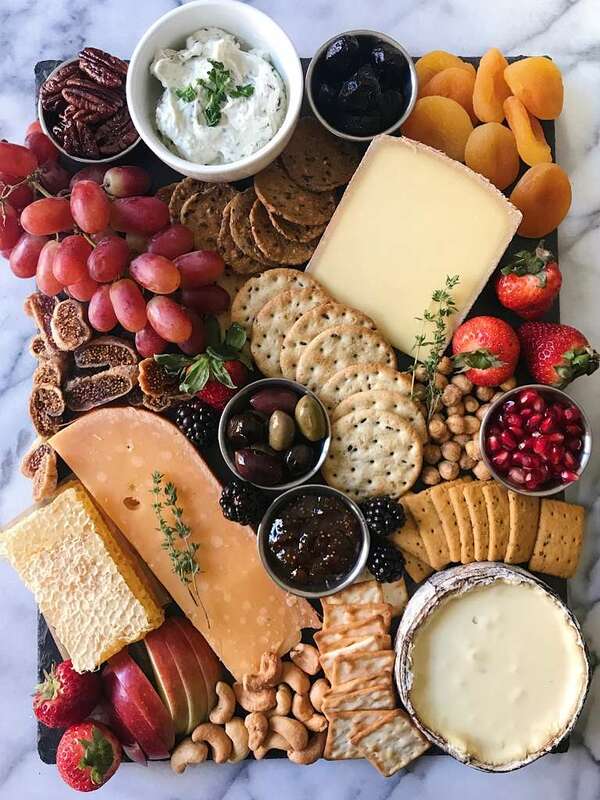 cow, sheep, goat) — we chose a soft cheese, hard cheese and vegan cheese spread. If I weren’t including the vegan option, I might have added a fresh cheese like a goat cheese or a blue cheese for something stronger. 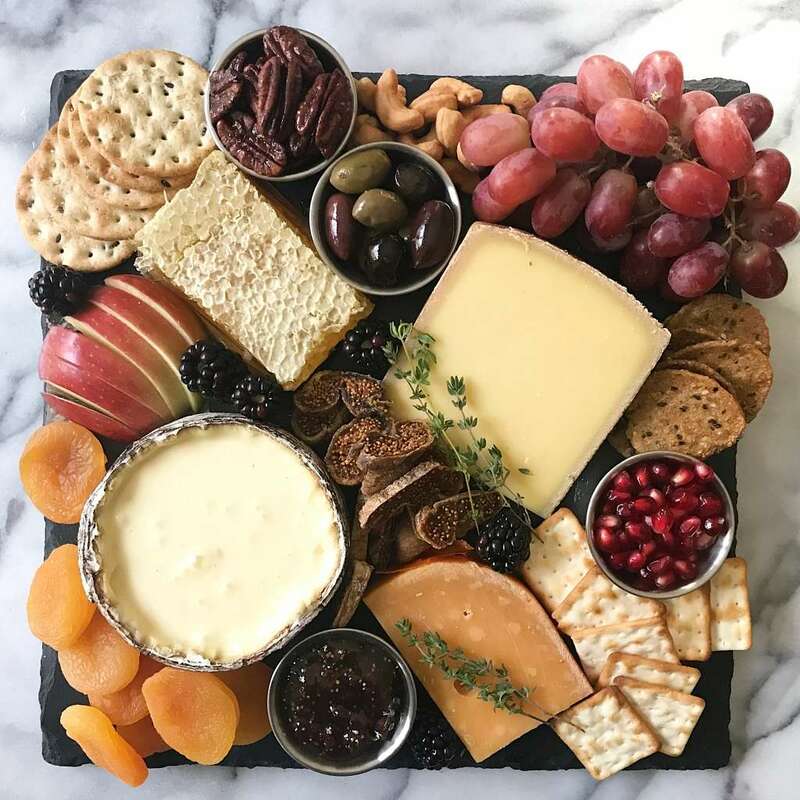 Choose your cheeses so that there are different textures and/or different cheese sources (i.e. cow, sheep, goat) -- we chose a soft cheese, hard cheese and vegan cheese spread. If I weren't including the vegan option, I might have added a fresh cheese like a goat cheese or a blue cheese for something stronger.